The last app you need on Mac. 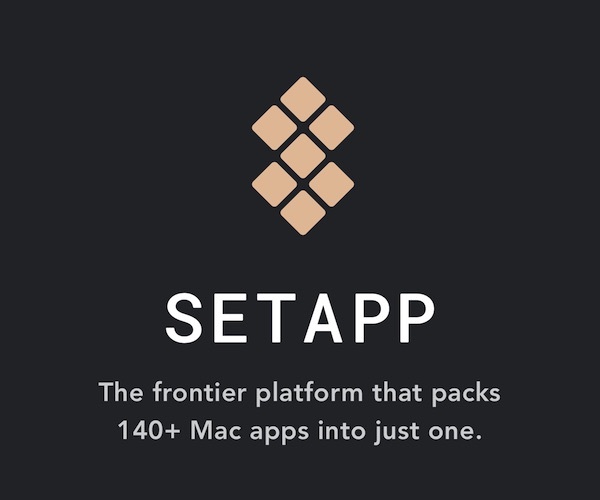 Setapp is the most comprehensive collection of 140+ premium Mac apps packed into one. Ulysses, Bartender, CleanMyMac, PDFPen, Luminar Flex, and MindNode all call Setapp home. As a member, you’ll have full access to every app without ads, add-ons, or in-app purchases. And new apps are added constantly based on what members recommend. Setapp is built by artists, writers, developers, and creators who know how important it is to get into a productive flow and stay there. It’s a powerful feeling to have every tool available at any given moment to accomplish anything on Mac. Forget about separate app licenses and upgrades — everything’s included. Setapp is seamless, blending into the background of any task imaginable. And you get one week free. 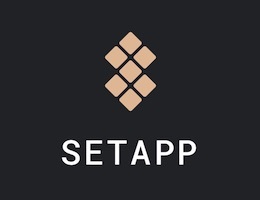 Our thanks to Setapp for sponsoring the site this week.